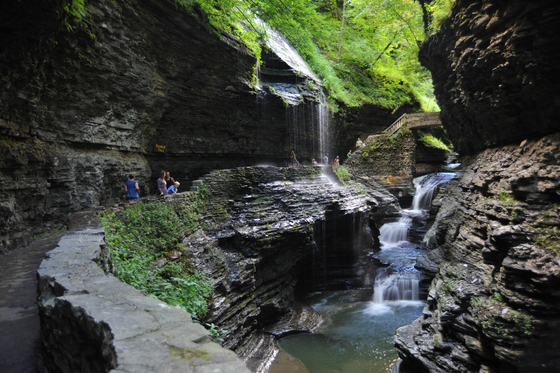 Continuing the NY Parks 2020 initiative, which is investing $900 million to upgrade and repair our state parks and historic sites, the 2017-18 State Budget allocates $120 million in capital funding – an increase of $30 million from last year This funding will aid the ongoing transformation of the state’s parks, historic sites and support critical infrastructure projects. The Budget also continues EPF funding at $300 million, the highest level in the history of the state, which helps support State Parks in numerous ways, including open space protection, the Connect Kids to Parks school bus transportation grant program, and assistance to our Friends Groups. Learn more. State Parks and the state Department of Environmental Conservation are partnering to install 23 hydration stations – featuring both a classic bubbler fountain and water bottle filling fountain – at parks across the state. The new hydration stations will provide visitors a source of drinking water while reducing single use disposable water bottle trash, which often leads to aquatic trash. 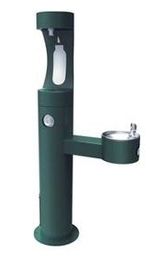 The hydration stations will be installed in prominent high pedestrian traffic areas in busy parks. Look for the new fountains at the following parks this year: Jones Beach State Park, Robert Moses State Park and Caumsett State Park on Long Island; Niagara Falls State Park in Western New York; Bear Mountain State Park in the Hudson Valley; and Riverbank State Park in New York City. 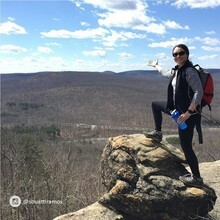 More than 100 state parks and historic sites are participating in the sixth annual Parks & Trails NY and New York State Parks I Love My Park Day on Saturday, May 6. This year’s event also includes several National Parks in New York State as well as sites in the Adirondacks and Catskills. Join your friends, family and neighbors and sign up today to volunteer at your favorite state park or site. From beach clean -ups to trail restoration and tree and flower plantings, hundreds of events are planned to spruce up our parks and get them ready for the summer season. 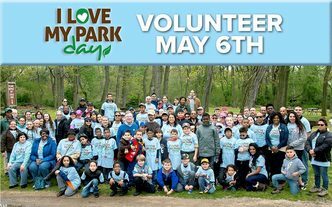 Make a difference at the parks you love, and register today to volunteer! 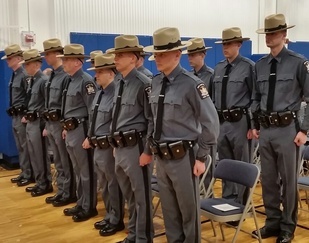 State Parks congratulates our 28 Park Police Officers who recently graduated from the New York State park police training academy. The new officers are already keeping 69 million annual park visitors safe and protecting the natural and historic treasures of the park system. Learn more about the graduates and special award winners. Spring is here, time to get outside and take advantage of the warmer weather and activities our parks have to offer. For birding enthusiasts, Minnewaska State Park will be hosting a Birding Basics class on Saturday, April 15th. The class is designed for beginners with tips and advice on bird identification and binocular use. A short walk will follow and those interested are encouraged to bring their own binoculars. In addition, an Early Morning Birders class is scheduled for Tuesday, April 18th. As the flowers begin to bloom, join the Humphrey Nature Center at Letchworth State Park for its weekly wildflower walks. Visitors will enjoy a walk around the nature center and explore some of the changing spring flowers as they come into bloom. The walks are scheduled for Sundays at 1:00pm. A featured walk will take place on Thursday, April 20th, with a focus on Fiddleheads. Interested in hiking this spring break? Moreau Lake State Park will feature a variety of hikes with varying terrain and difficulties throughout the week (April 15, 20, 21, 22, 23). These include nature trails around Lake Bonita and Mud Pond as well as steeper portions along the Western Ridge and Overlook. For more information on the programs mentioned above as well as additional events, please visit our calendar of events. What does someone in your position do? I lead a team of employees that operate the park with its 264 campsites, four sandy beaches, five picnic shelters, as well as the six miles of hiking and biking trails which are also used seasonally for snowmobiling, cross country skiing and snowshoeing. I also oversee several other state owned properties, work as a liaison between other state and local governments, and our local friends group. What’s the coolest thing you’ve ever seen or done? Being able to host our Salute to America event for July 4th weekend here at Hamlin Beach; where thousands of families line our beaches and picnic areas to watch our fireworks display over Lake Ontario. Is there a destination in the park/region you’d recommend to someone? Area 3 at Hamlin Beach, it has two fantastic sandy swimming beaches, a playground, horse shoe pits, picnic area, shelter, and access to our walking/biking beach boardwalk. Sitting on one of the brand new benches in front of our newly renovated bathhouse is one of my favorite places to watch our park patrons relax and enjoy themselves. What inspired you to work in the park system? I completed an internship at Chenango Valley State Park, while working on my degree in Recreation and Leisure Studies and Recreation Management from SUNY Cortland. That internship turned into a seasonal job and I was addicted to Parks. 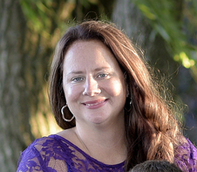 I have a passion for wanting to help make New York State Parks better for future generations and a desire to assist members of our Parks family grow to their desired potential.